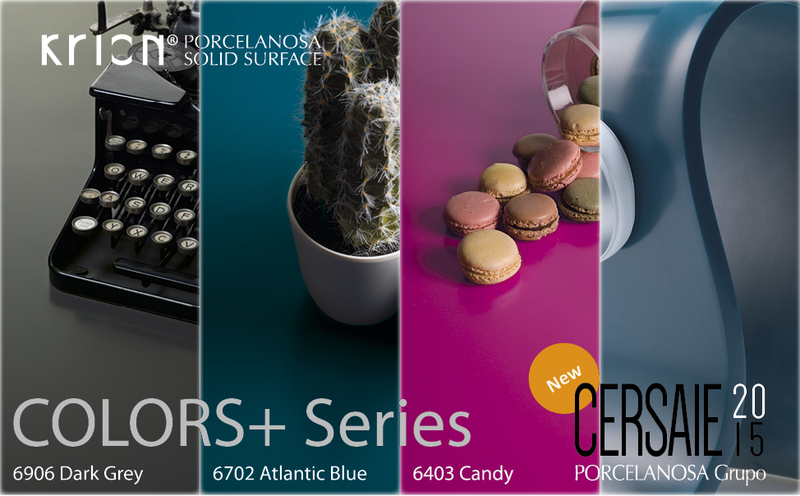 At CERSAIE 2015, the compact mineral from PORCELANOSA Group, KRION®, presents 16 new colours, which extend the ranges of the Colors, Colors+ and Start series. These colours are not random, as the obligation to create trends and be at the cutting edge in the solid surface sector drives us to carry out exhaustive market studies in search of colours which make our wishes a reality. Colours with a discreet elegance and timeless sophistication which bring great personality to spaces. Subtle colours which are welcoming and attractive, creating tranquil and serene spaces.